First Baptist Church began in July of 1956 as a mission Sunday School of First Baptist Church of Ridgeland, meeting in the island home of J.N. and Lois Richardson. 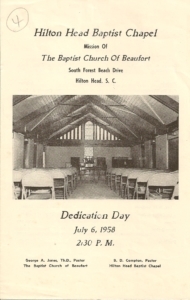 At a special service on December 8, 1957, the Baptist Church of Beaufort officially adopted the Hilton Head Mission. 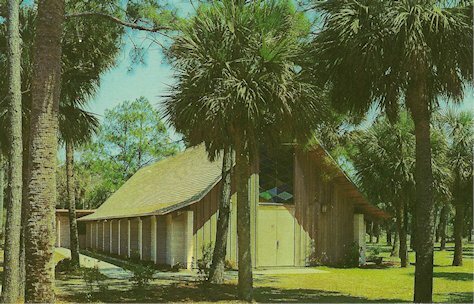 The church, known as the Hilton Head Mission Chapel, held its services in a small building on South Forest Beach Drive. 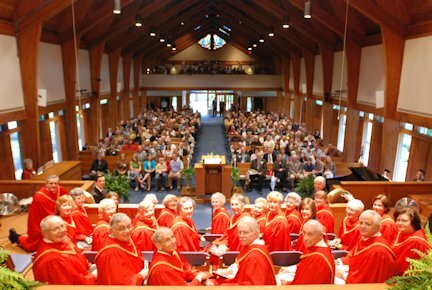 In 1961, the church began the process of becoming an independent church, and was constituted on February 18, 1962. The congregation met for a time in the Hilton Head Inn and also in the home of Mr. and Mrs. Frank E. Wilson. The new church building was built by members and friends of the church on Woodward Avenue. In 1973, it became evident that plans must be made to provide more space for the growing congregation, however, the current property did not provide enough space for growing room. In February, the Sea Pines Company was approached with a proposal and an arrangement was made to exchange the small church on Woodward Avenue location for the original Mission Chapel and all the acreage that went with it. The last service held in the small rustic church was on February 4, 1979. In this special service, the church was deconsecrated. The congregation marched down the road with a group of youth carrying the Pulpit Bible and Cornerstone to the new campus, returning the church to South Forest Beach Drive location. As FBCHHI continued to grow, it has been obvious on several occasions that the church needed better ministry spaces. Throughout the years, many campus changes have been made including adding balcony space and larger Music Suite to the sanctuary and an Education Building and Family Life Center were added. Our original Mission Chapel was renovated into a Fellowship Hall and later became a dedicated building to our Youth/Student ministry. It has recently been upgraded with modern technology to better suit the needs of both our youth and congregation. The church also officially acquired 9.5 acres behind the current property for future development. Called Pastors of our church have been: Rev. Ernest Banner (1959-1964), Rev. W. T. Reid (1964-1966), Rev. William F. Willingham (interim pastor during 1967), Dr. Wilford Lee (1968 – 1979), Dr. Felix Haynes (1979 – 1994), Dr. John Keller (1994 – 2018) and currently, Rev. Brett Myers (April 2018 – Present). Teaching and preaching the Word of God have always been paramount. Along with worship on Sundays, Sunday School classes are available for every age – babies through senior adults. Throughout the years, Wednesday night activities have included a variety of Christian learning opportunities for every aged person as well. 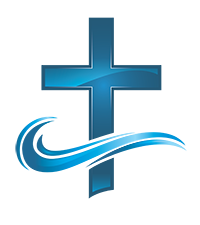 Currently, the church offers Fellowship Dinners, Adult Bible Studies, Awana for children, FBCHHI Student Ministry for middle and high school students, each class striving to guide everyone to clear understanding of the Bible, and encouraging each one to have a personal relationship with Jesus Christ as their Lord and Savior. Our Music Ministry has a rich history at FBCHHI and has always been vibrant with choirs and soloists, musical ensembles, a handbell choir, and various instrumentalists. Seasonal musical presentations have brought the Gospel to life and have been an outreach to the community in addition to the church family. Our church has always been active with Mission opportunities. Mission trips have been taken in the United States and around the world throughout the years. Accepting donations to a special missions offering, taken yearly for six consecutive months has allowed us to increase the mission dollars we send to Southern Baptist Convention (SBC) sponsored mission groups for North American and International missions. Additionally, we support a select few missionaries and have them speak in our church services to offer our congregation a glimpse into how our mission dollars help spread the Gospel. We support missionaries through the Cooperative Program of the SBC, and have direct partnerships in Ghana, Canada, and Guatemala. We also support several local Christian and benevolence organizations. Our church has led the way through the years with creative mission outreach ideas, and we continue to find exciting ways to spread the Gospel through events like Vacation Bible School and community outreach events and programs. 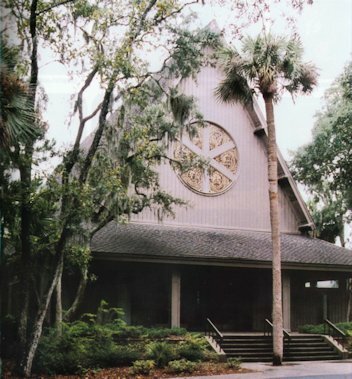 Our church has passed our 50-year mark of ministry and service to the Lord from our church that sits across the street from the Atlantic Ocean on Hilton Head Island, SC. We pray that we will be able to continue serving Him through our faithful congregation and beautiful property until He comes again. First Baptist Church Celebrates the 50th Anniversary in 2012.